Reasons to want to disable mobile data there are those that you want and more. From leaving your country of origin to visit another where roaming continues to exist until you want to save the last megabytes of your rate to use them in an emergency time. The vast majority of applications that we have installed in our smartphones consume data, both in the first and in the background, but restricting this access is very simple if you know the appropriate settings. Android, fortunately, makes it really easy for us, offering us the possibility of restricting mobile data both globally and individually. In other words, for the mobile to be completely disconnected or for certain applications cannot connect to the network. Let’s know both methods. Search “Data connections and wireless networks” (usually appears above all). Access “Mobile networks” and deactivate them. If you want to be something more radical, you can also remove the SIM card. It may not be the most useful method if you want to be able to call and send SMS, but if you travel to a country with roaming, it is the best way to save yourself a scare by the end of the month. After all, even with the SIM removed, you can still use applications that require Internet access when you connect to WiFi. If you do not want to remove the SIM card “as far as it can go”, you can always activate the airplane mode. 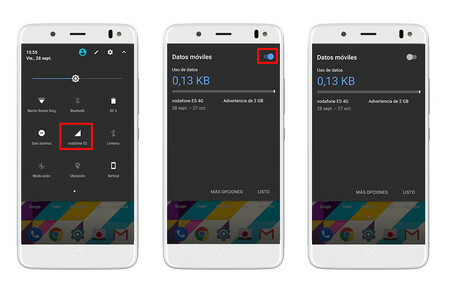 In this way, all the connections of your mobile will be disabled and, effectively, you will still be able to connect to the WiFi even if the mobile network and the data have been disabled. So, in an emergency, you can always enable them and make a quick call.